Holy sheet! Rowizzle is two months?!? We're gonna be in a nursing home in no time.. hopefully she loves us enough to take care of us herself.. DUH SHE WILL! being on her changing table in her room, being pushed in her stroller across bumpy ground/floors, staring at christmas lights, her grandma, being held/cuddled, when I say "dooo you have a mustache?" in a high pitched voice and I swipe my finger lightly across her upper lip, being photographed, looking at OK! Magazine with Mama. the pediatrician/shots, bath time, not facing outward while being held (when awake) because she wants to be able to see everything, when we change her in and out of pullover clothing. 9lbs, 15oz and 23 inches. Holy crap. It doesn't seem possible that it had been that long. It seems like only yesterday we were all awaiting facebook statuses on her birth. She really is such a beautiful baby. She is simply gorgeous! 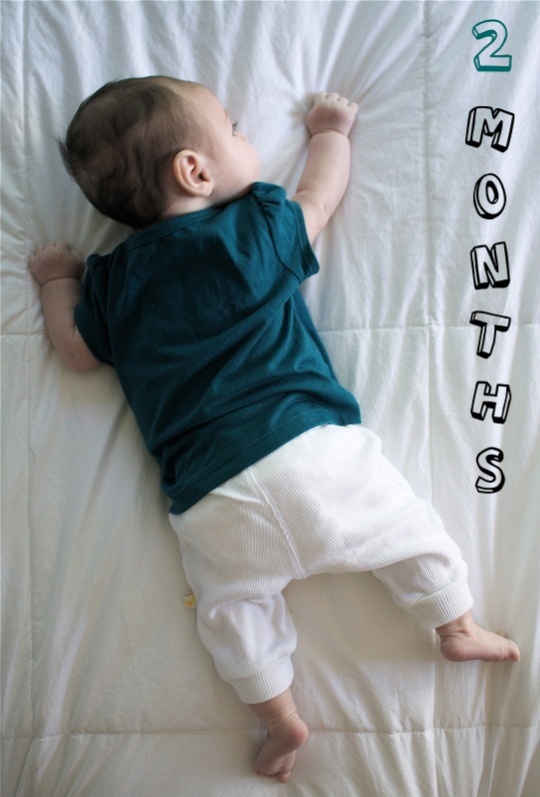 I can't believe that she is 2 months already! Don't they grow up too fast?? Its insane! They change way too fast! You are so beautiful! and Evangelina loved these pictures! oh man jessica, she really is such a beautiful baby. she has bedroom eyes. 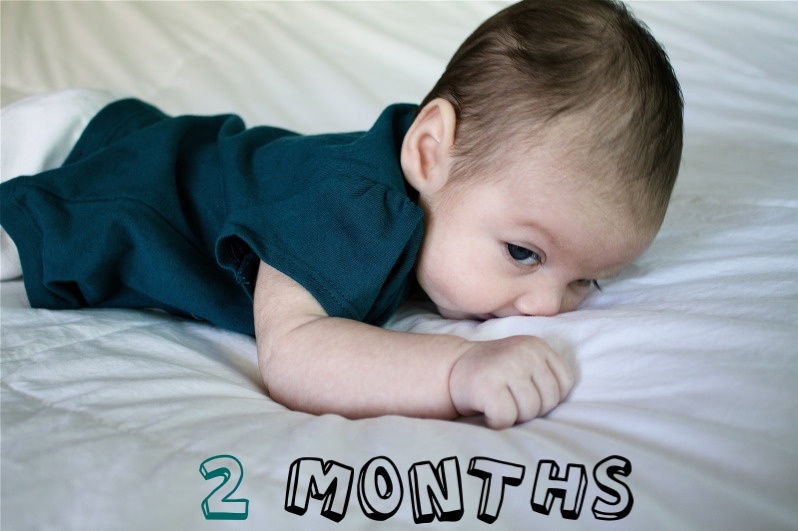 Did Jess above just tell you that your 2 month old has bedroom eyes? Oh wow... she did. lol! Picture #2... I think she looks ALL daddy. Every other pic I see mama. Happy 2 months baby girl. You sure are a pretty one. I like her little outfit. I LOVE HER OWL SHIRT!!!! 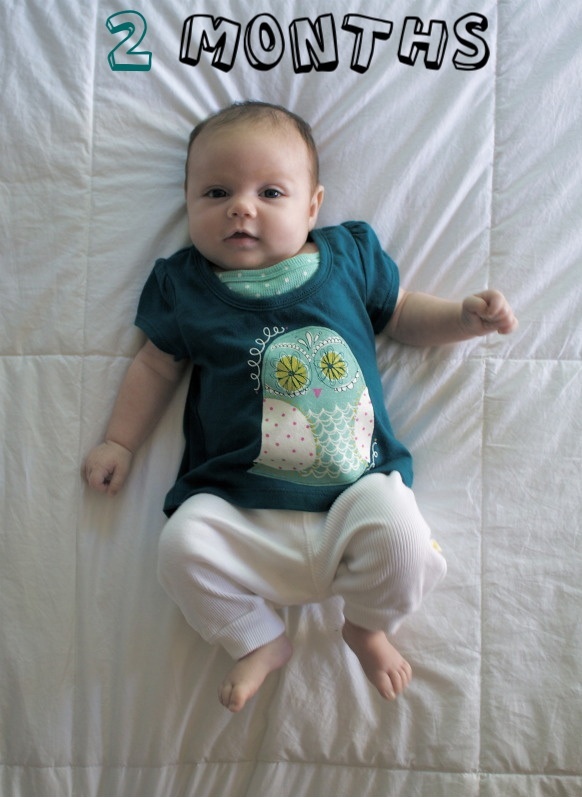 She is adorable and I want that little owl shirt! Seriously, she is stunningly beautiful. Obviously, I mean, look at her mama. But those eyes and the one picture where she's on her belly? Her little ankles look so sweet! That shirt is so amazing, too. sooooo...im booking a vacation to hawaii. not to sit and soak up the sun or anything but to hold this beautiful snuggly baby! man, she is so gorgeous!